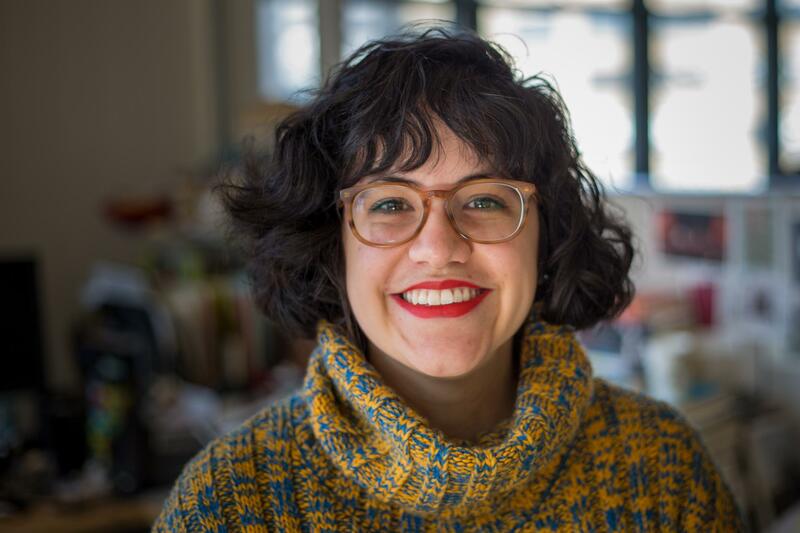 Sophia is an associate producer for Radio Rookies, the unit of WNYC's newsroom that works with young people to teach them how to make radio stories about their own lives. She's also reported on gentrification and housing for WNYC's Affordability Project, by embedding in neighborhoods across New York City. Previous to that, she was chosen as a lead producer for AIR's Localore project, a national public radio initiative to focus on hyper-local storytelling in diverse communities. She's worked at Arizona Public Media, storytelling non-profit The Moth, and in digital mapping in a previous life. She holds a B.A. in history from Stanford University. As a week of activities celebrating LGBTQ pride on Staten Island begins, one lifelong island resident is learning to embrace his transgender identity. This weekend over 1,500 students from around the world descend on New York City for a Model UN conference. At a time when "traditional" values are making a comeback, a new radical group is forming around skateboarding and art, trying to disrupt the system and empower young people. Residents on Staten Island's North Shore voted on how to spend one million dollars in their community. Winning projects will be announced Wednesday. The Staten Island Economic Development Corporation is proposing a new way to commute to and from the island: an aerial gondola. On the North Shore, developers are putting up a hotel and a mall. The city is planning on rezoning. And local artists are working to make sure their voices heard, before it’s too late. The mayor kicked off his "City Hall in Your Borough" tour this week, working entirely out of Staten Island, the city's most Republican borough. What'd he gain from the experience? You may not know it, but in the 1880s, the North Shore of Staten Island was a travel hot spot. Can a mix of entertainment and spectacle help improve its economy once again? The North Shore is getting a make-over by developers and the city, both of which hope to revitalize the area. What does that mean for the community there? How residents of the Bronx are creating businesses by getting into the food industry. Monxo Lopez is an environmental activist in the South Bronx. WNYC invited him to the Cooper-Hewitt Museum to see its exhibit "By the People" about design and solutions for poverty. The neighborhood in the South Bronx is changing. Who wins? Who loses? How can everyone benefit? Diane Hernandez grew up in the Bronx and then, for a period of time, left. Now, she's back, teaching at Columbia University, renovating homes in Mott Haven and putting down new roots. Robert is a long-time resident. Eileen is a relative newcomer. He's excited by change coming to Mott Haven. She's not. Undocumented immigrants run this Oaxacan restaurant, where questions of affordability and gentrification are on the front burner. What are the first signs of gentrification? WNYC looks at the affordability crisis in New York City. First up, Mott Haven in the Bronx.